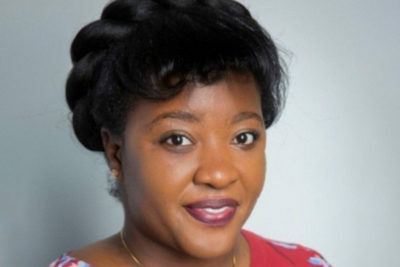 Kiasha Huling, a 2008 graduate of the Master of Social Work (MSW) program at the Penn School of Social Policy & Practice (SP2), has been announced as the new director of UC Green, a non-profit organization focused on volunteer environmental stewardship in University City and surrounding Philadelphia neighborhoods. As director, Huling will lead UC Green, now in its 20th year of operation, in amplifying and expanding their mission to make West and Southwest Philadelphia greener through tree planting and maintenance initiatives. Each year, UC Green volunteers dedicate thousands of hours to planting street trees and enhancing public green spaces throughout the area. These ongoing efforts have resulted in approximately 4,500 trees planted to-date. Huling brings a decade of local community engagement, advocacy, and direct service work experience to her new role. In 2011, she developed the first social work program at Sayre Health Center in West Philadelphia, where she went on to become Director of Outreach and Social Work. The program utilizes therapeutic support, case management, and advocacy to improve access to care and overall wellness in the area. Huling has also served as a field instructor and trained aspiring social workers at Temple and Widener Universities. While she is a seasoned organizational leader, Huling’s background includes extensive volunteerism, such as environmental cleanups in the Cobbs Creek neighborhood of West Philadelphia. In addition, Huling has served on Sayre’s Health Center’s Outreach Committee, the Early Childhood Policy Council at the Philadelphia Public Health Management Corporation, and the Planning Committee of the Laura Sims Skate House, and is a member of the 60th West Market Business Association.